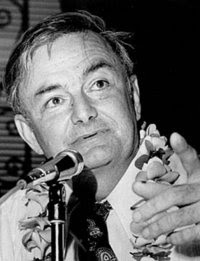 Tom Gill, who led the progressive wing of the Hawai'i Democratic Party at the birth of the state, contributed to the shift in Hawai'i's political landscape in the 1960s and later became a thorn in the sides of two governors from his own party, died yesterday. He was 87. KGMB9's Political Analyst Peter Boylan talks about former Lieutenant Gov. Tom Gill, who died today. Hawaii has one of the nation's highest rates of alcohol addiction but ranks as the state with the least drug dependence, according to a federal government survey released yesterday. Seventy-one percent of Hawai'i residents lived in a household with Internet access in 2007, according to new data from the U.S. Census Bureau. Disputes over state worker furloughs were no closer to being resolved yesterday as the major players took public swipes at each other. The science-versus-sacrilege debate over the proposed solar telescope near Haleakala's summit received a jump-start Wednesday night back into Maui's public discourse for the first time in nearly three years. Students at the University of Hawai'i-Manoa may have fewer courses and degree programs to choose from as campus officials anticipate some $50 million in budget cuts per year over the next two years. The Hawaii County Council on Tuesday rebuffed a series of amendments from its Finance Committee chairman and passed a $386.9 million operating budget that funds vacant positions and overtime, suspends the land fund and relies on the sale of Hamakua property to make ends meet. Honolulu Police need your help looking for a man wanted for murder in Los Angeles.